I agree with you on those except for Something . Anyways, to keep things on topic, i can't get in the mood to listen to full albums anymore. I confess I don't listen to the Beatles as often as I should. There's just so much to listen to and so little time, and I've already fairly imprinted Beatles music on my DNA, and I forget how much I enjoy them. I've been making an effort recently, though. I confess: I think the 1950s-nostalgia packaging that Capitol Records used for the 1976 "Rock 'n Roll Music" compilation (and was much-derided by John and Ringo) was actually quite distinctive and fairly fab, all shiny chrome and neon, simultaneously period-identifiable and timeless. I agree, except for those annoying thumbs. Paul has the singular honour of being my Former Favourite Beatle as well -- though I like John when I was eight-and-something, mostly because he had cool glasses and a surname I could remember easily. By the time I joined this forum, it was up in the air between Macca and Hazza, and a few months on the forum getting to know the likes of @AppleScruffJunior and George's solo work better quickly turned me over to the Dark (Horse) Side. I still love me some Macca though! One cannot deny the draw of the Harrison. I wonder what it is about George and him being the favourite Beatle for teenage girls. The Fiendish Thingies page was started by 3 teenage girls, and practically all of the predominant George fans that have been on this forum are teenage girls. Maybe it's because we're the most vocal, we just seem to be an army?? What about Zig and Peppdog? They're Harrifans, right? For a while I vowed never to choose a favorite Beatle, and I meant it, but George is just too fabulous. Well, we're doing George's Febrooary right now. Usually the thread is less active. But, yeah, it definitely seems to have the most active following on this forum, anyway. aaaaaaaaaaaand as my derailment disease has depilated devastated yet another thread, I confess that I sat here for almost five minutes trying to think of a suitable confession to retail the thread but my brain doesn't seem to be working at the moment. So. 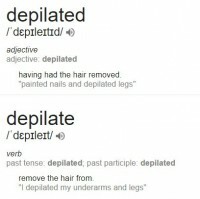 well that's embarrassing, I meant "devastated." And to think I call myself a grammar Nazi! ah, so fun to read again. what a classic story. That's amazing, i would have done the same.